The Carraway Firm Mattress by Corsicana, is an entry-level mattress for customers looking for a firm-feel at an affordable price. 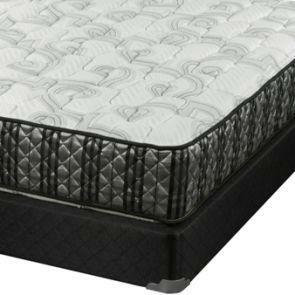 Using the innerspring technology combined with the foam encased edge support; this mattress provides a perfect firm-feeling. The Carraway Firm is available in twin, twinXL, full/standard, queen and king sizes. This mattress comes with a 10 year limited warranty.